What could be more cute than a newborn baby dragon! 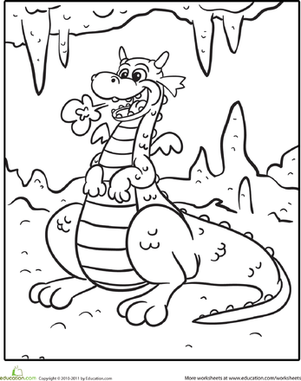 Your child will love this dragon coloring page, a great activity for building his fine motor skills necessary for when he starts learning handwriting. This coloring page features an adorable baby panda holding her mom's hand. Your child can add color to complete the sentimental scene!